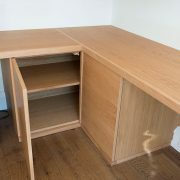 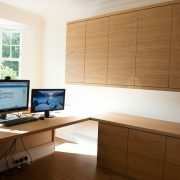 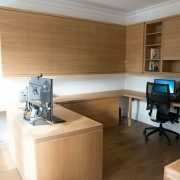 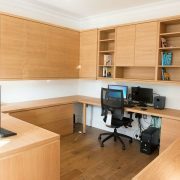 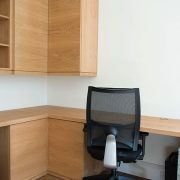 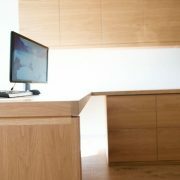 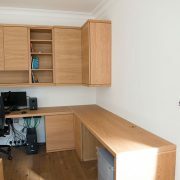 Residential customer who required an office to work from home. 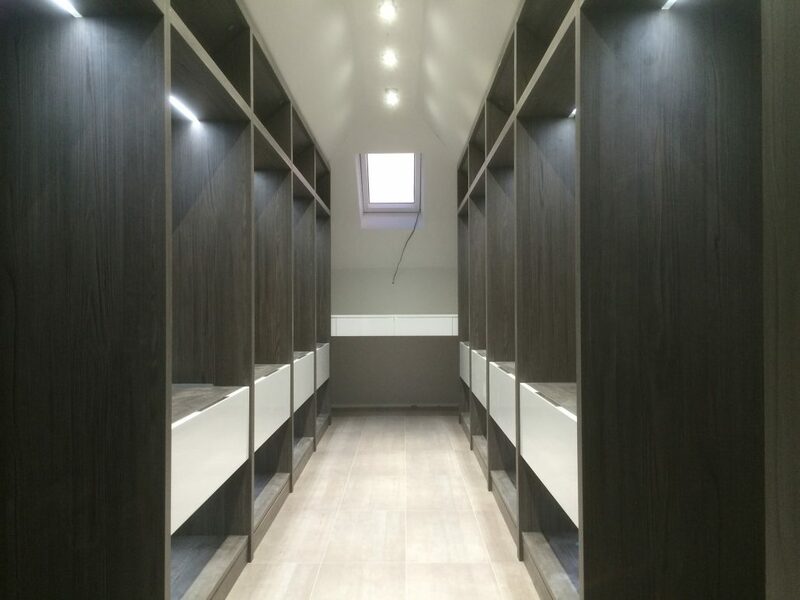 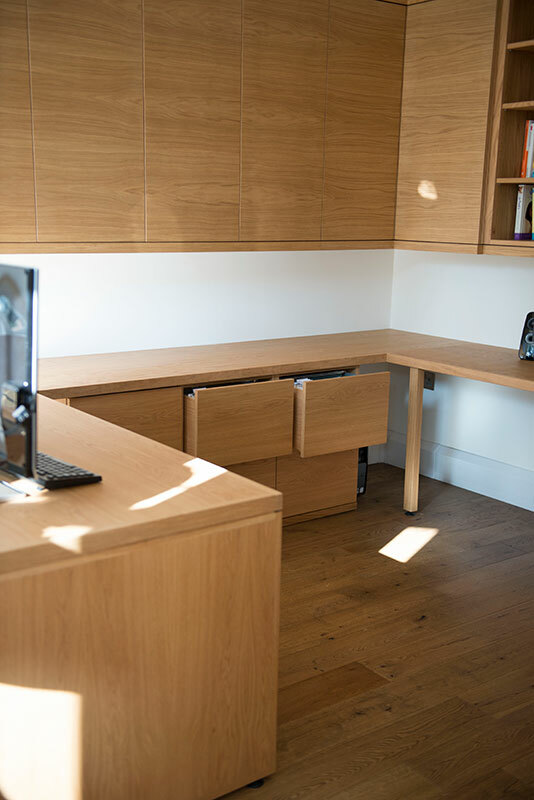 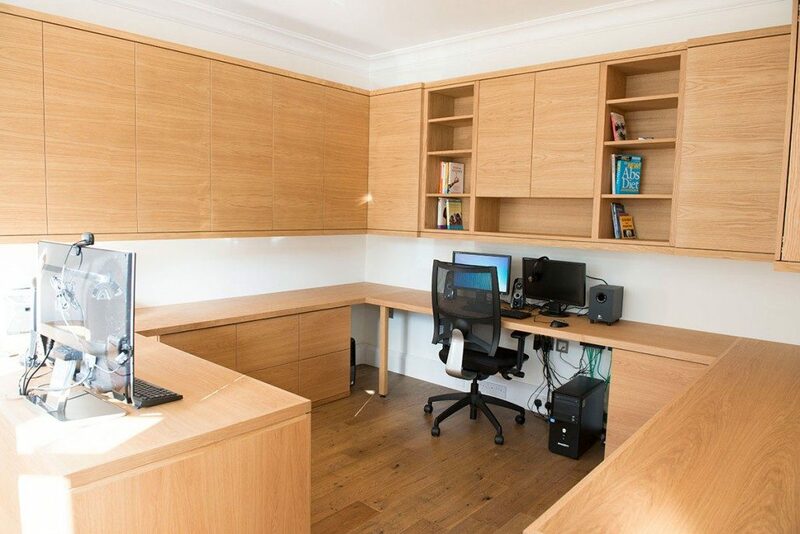 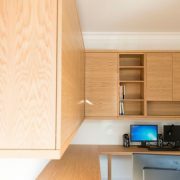 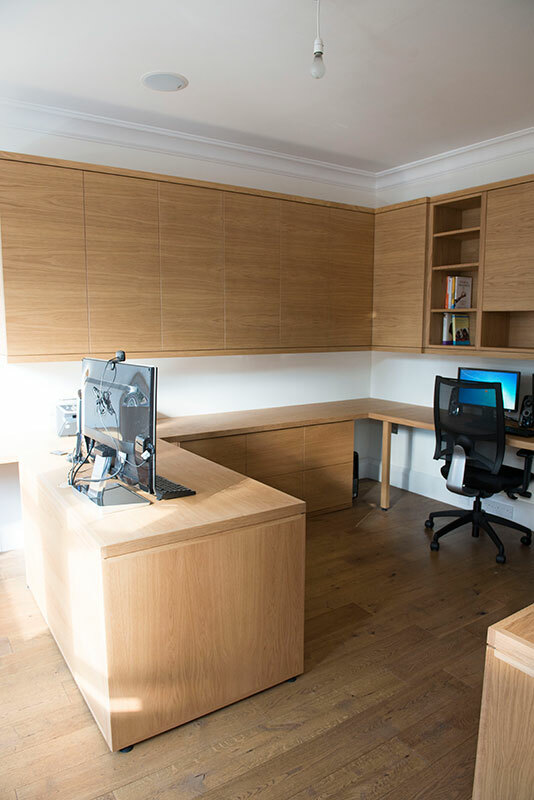 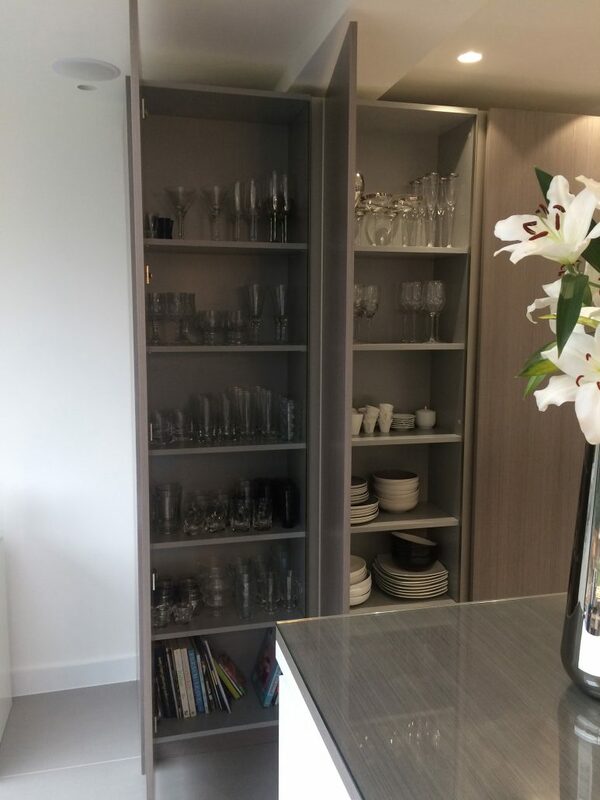 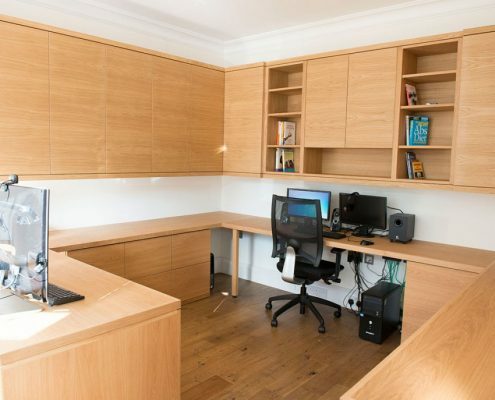 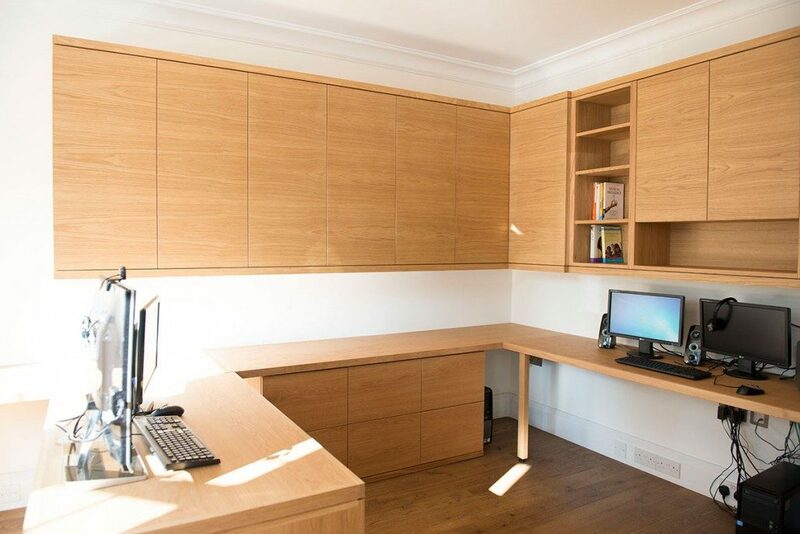 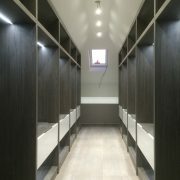 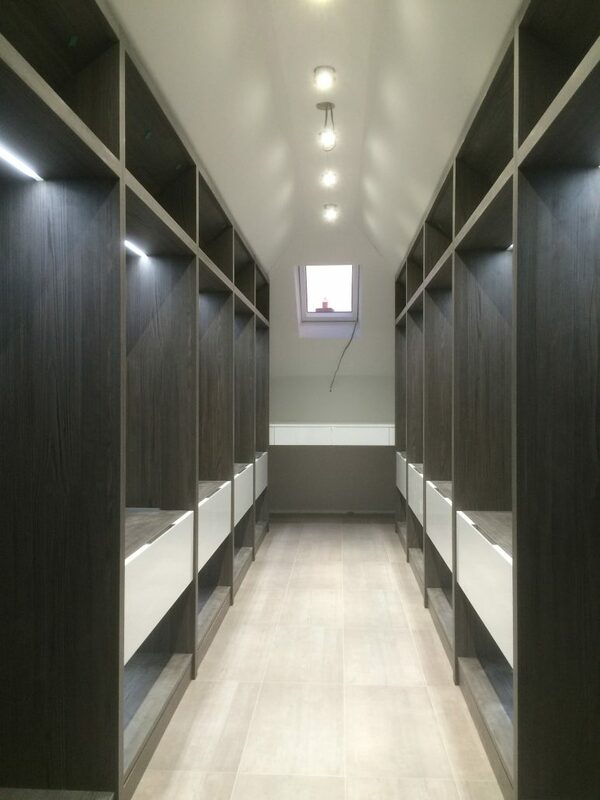 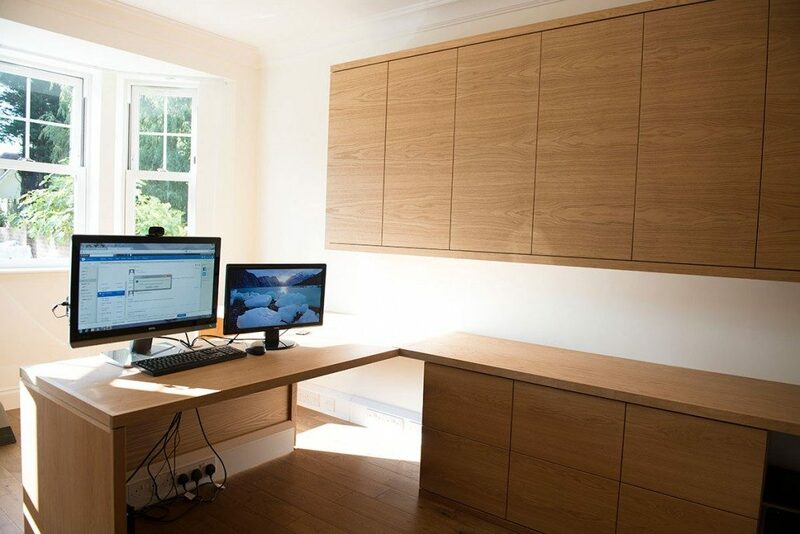 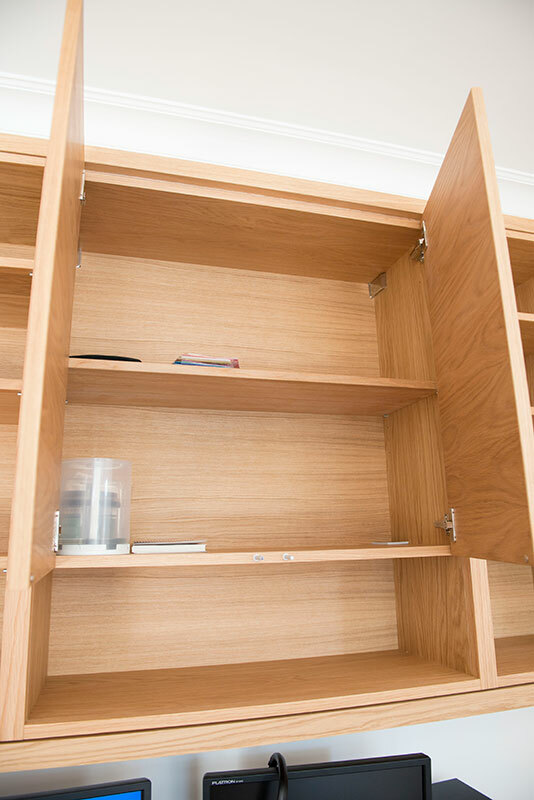 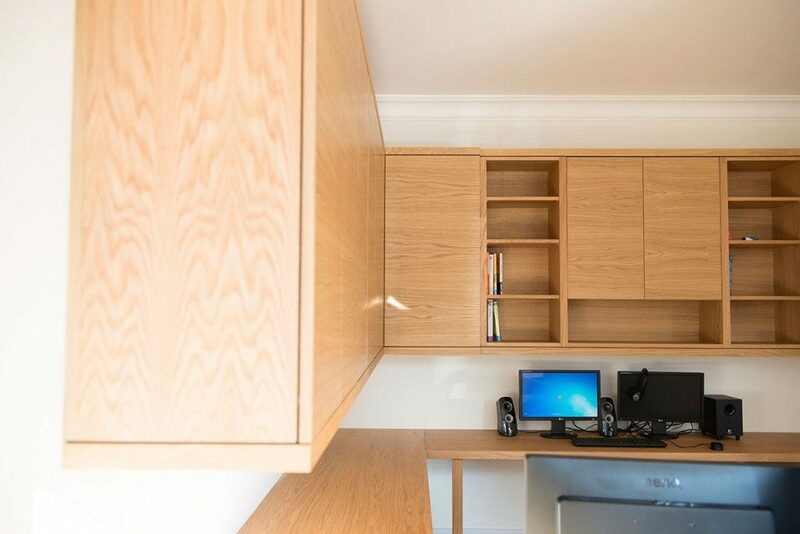 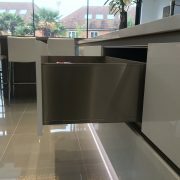 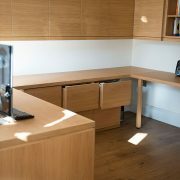 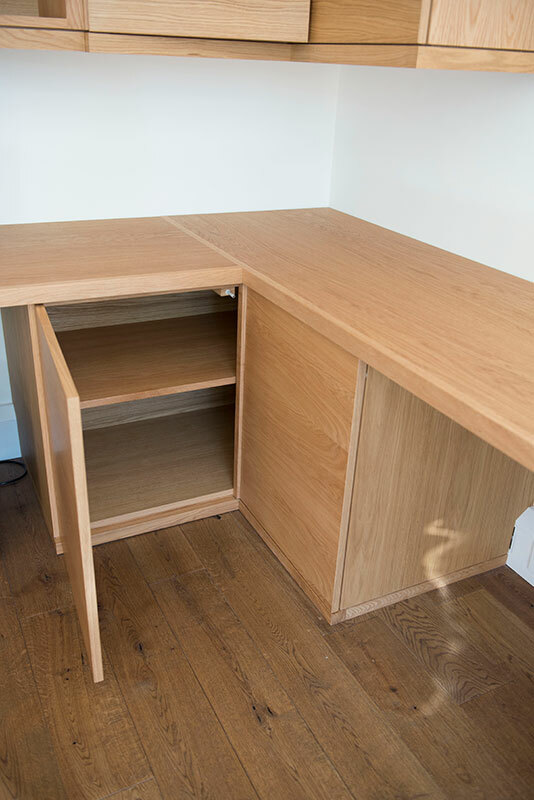 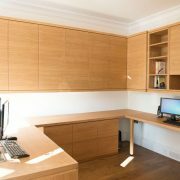 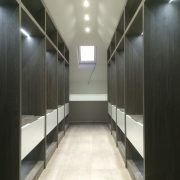 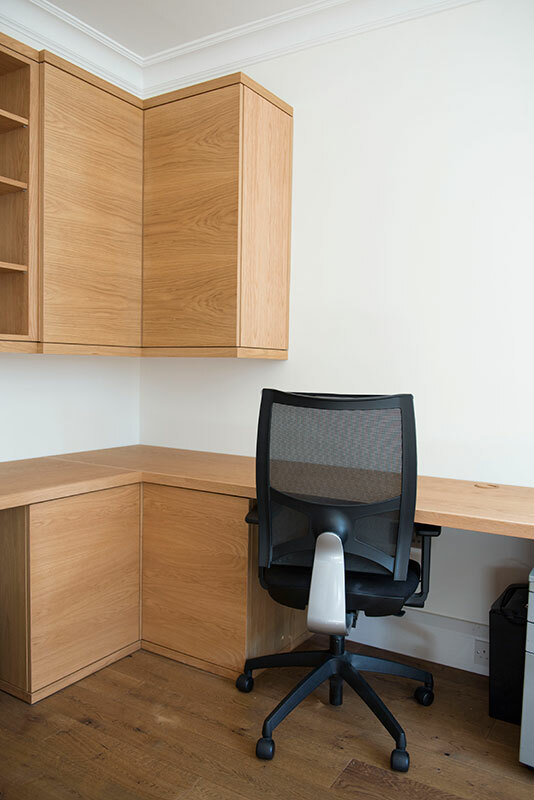 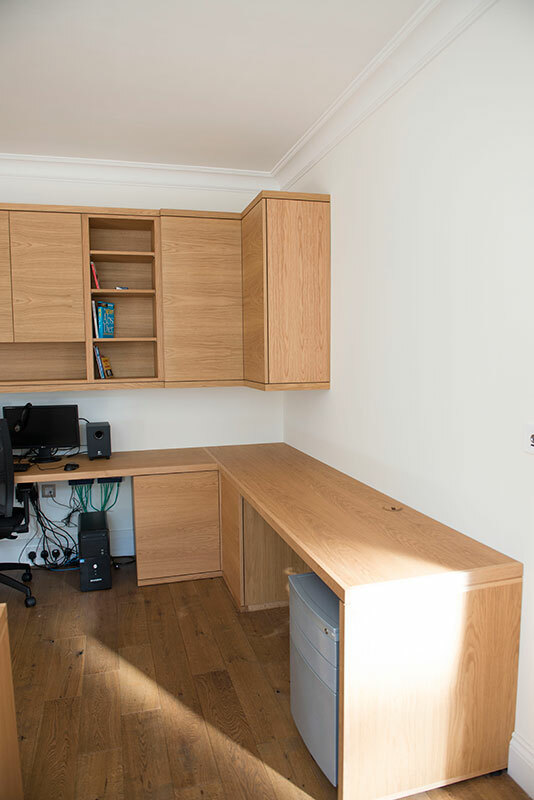 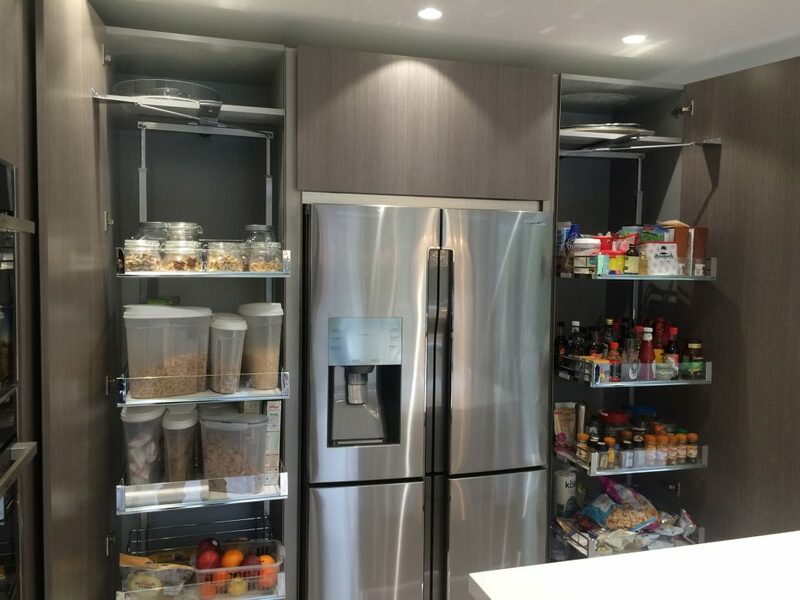 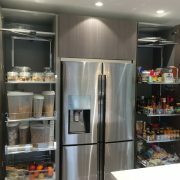 The space was utilised to its full potential because we were able to custom build the units. 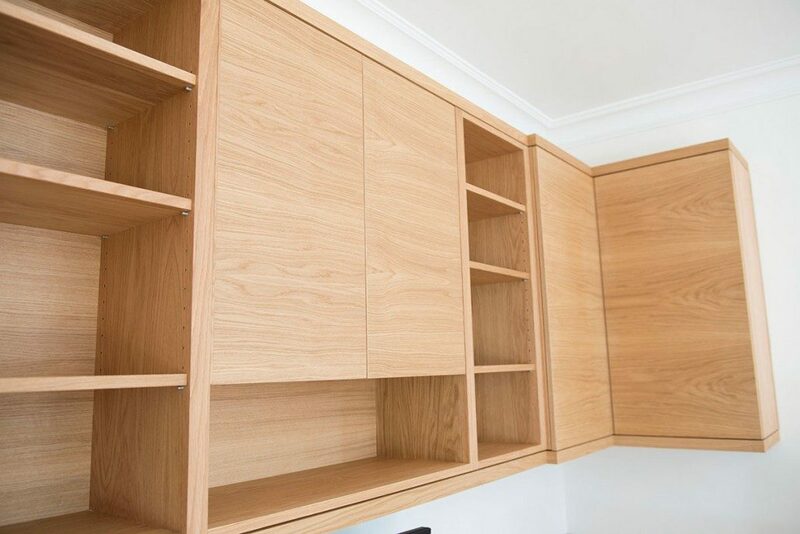 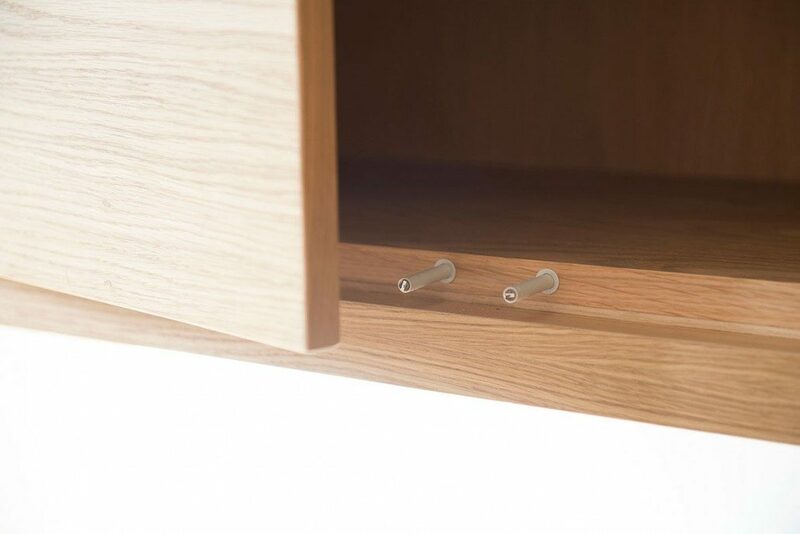 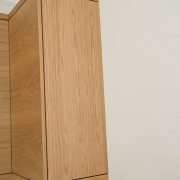 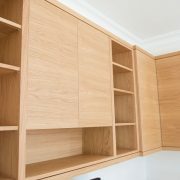 The carcasses were made from high grade oak veneered boards. 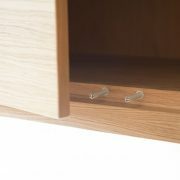 The doors, draws and tops were cut so the grains matched. 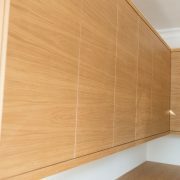 Project involved the planning and supply of kitchen cabinets. 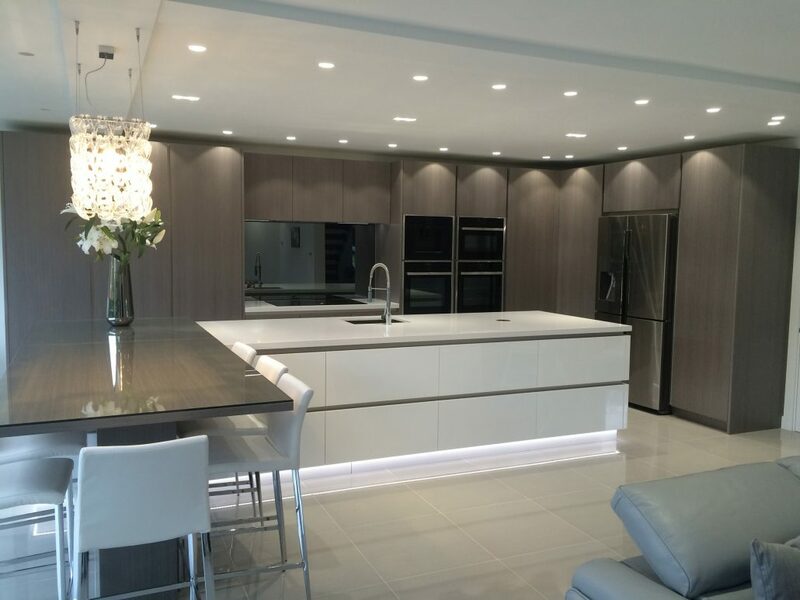 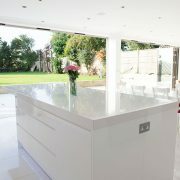 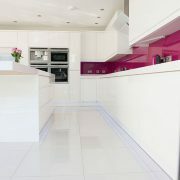 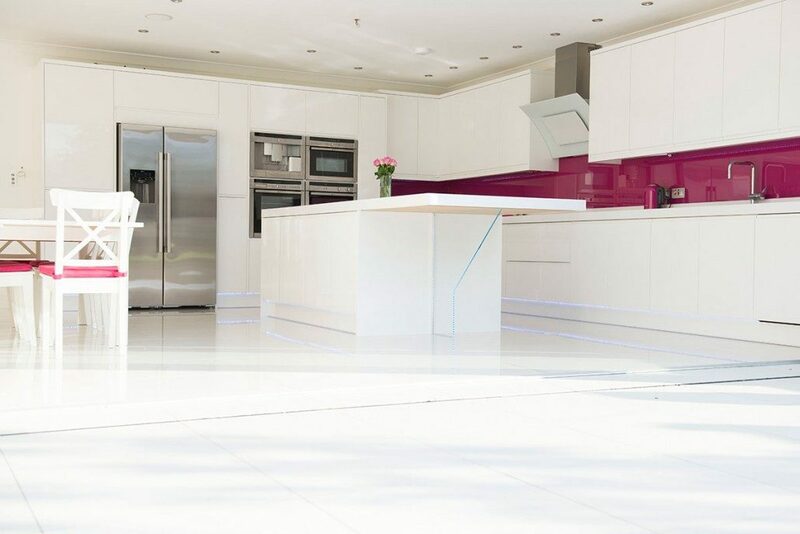 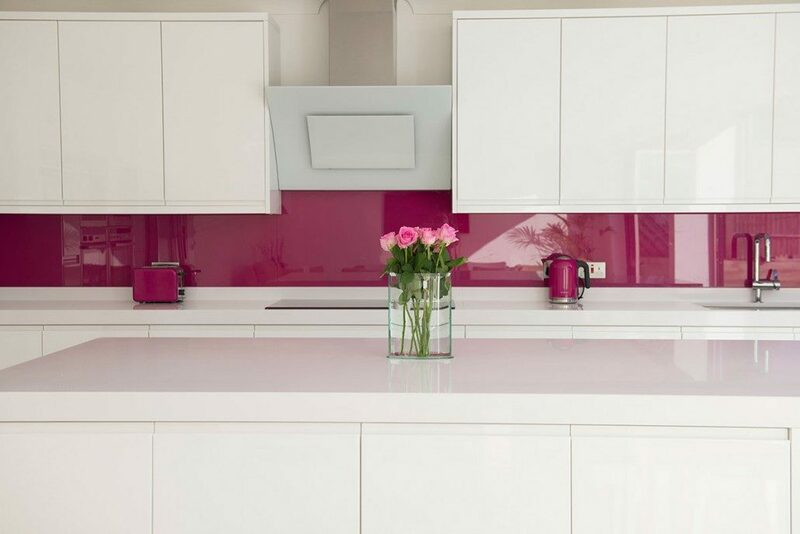 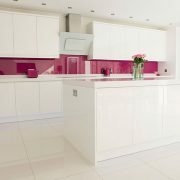 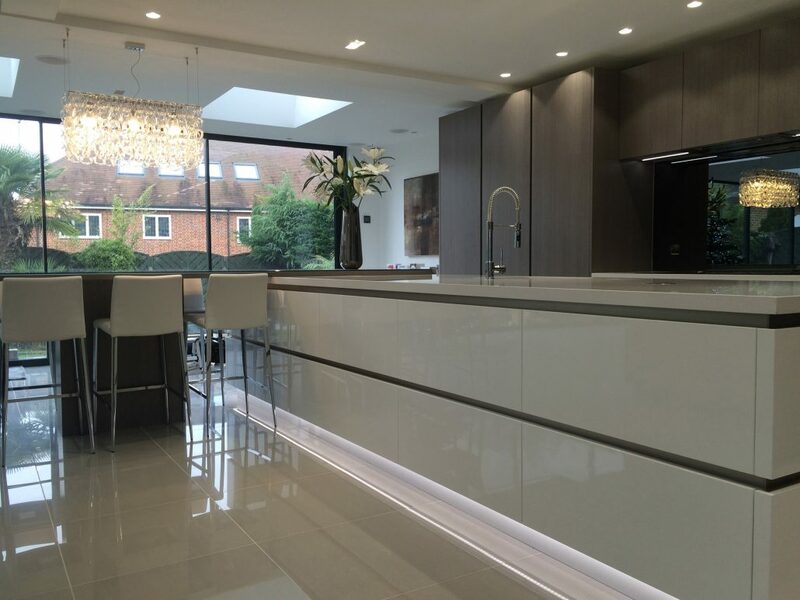 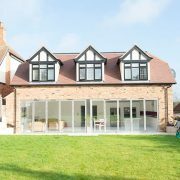 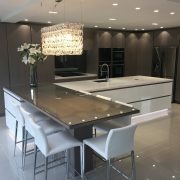 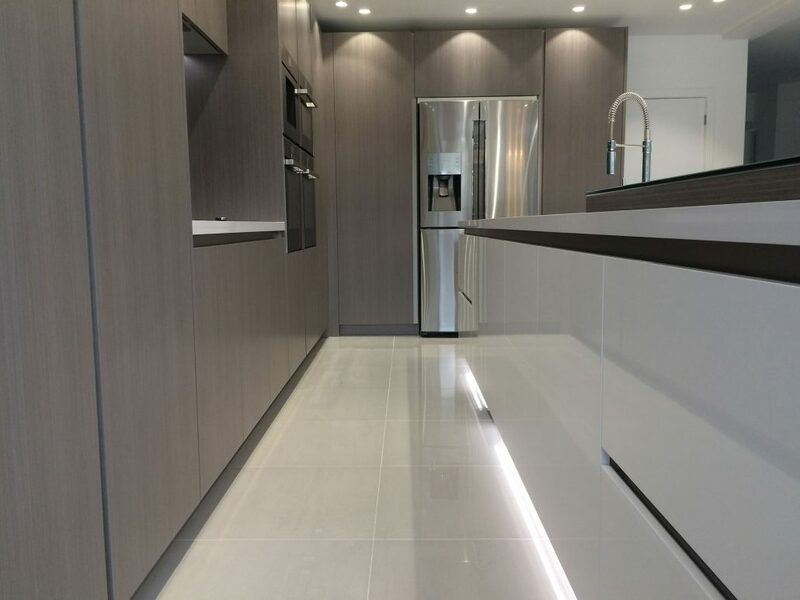 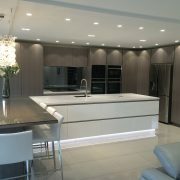 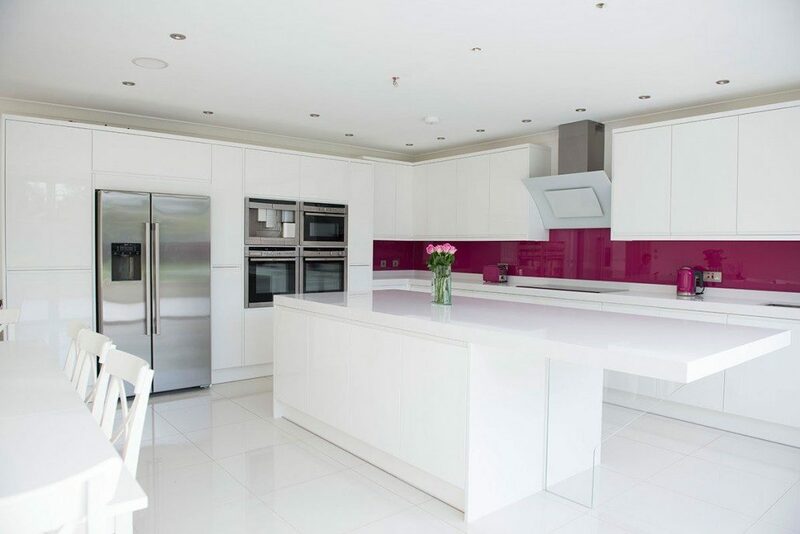 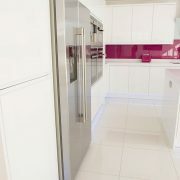 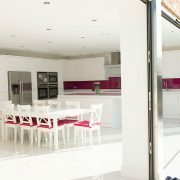 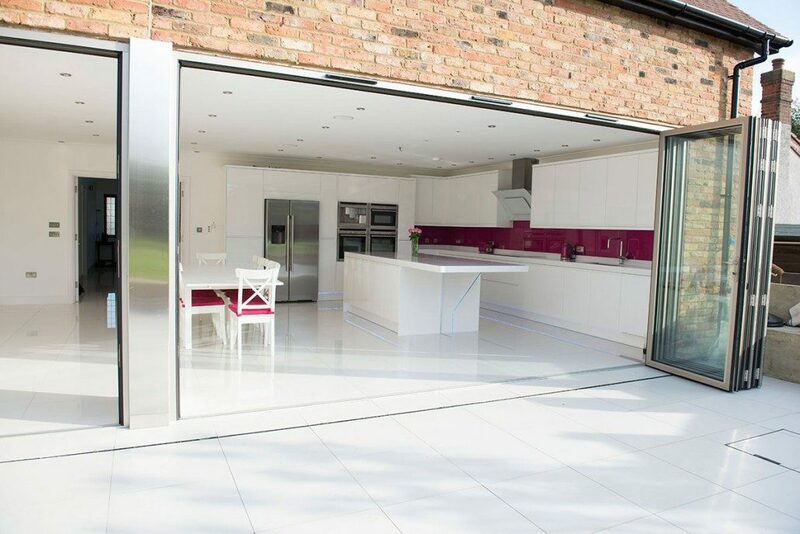 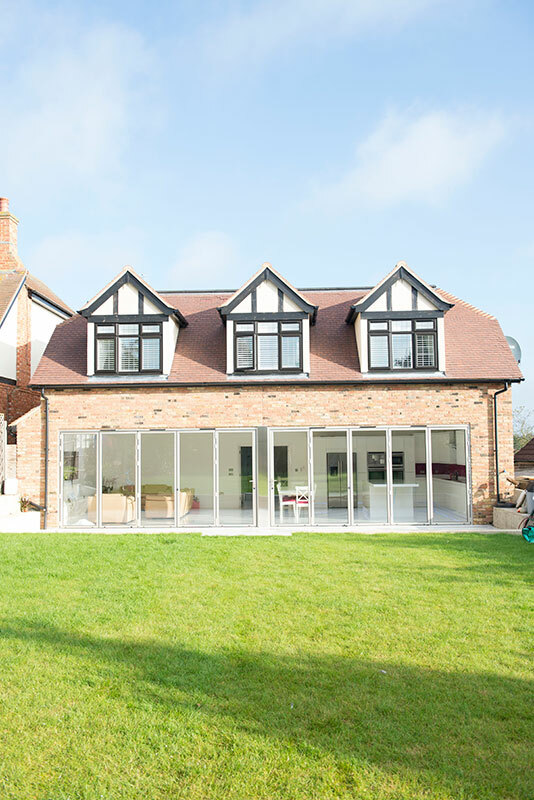 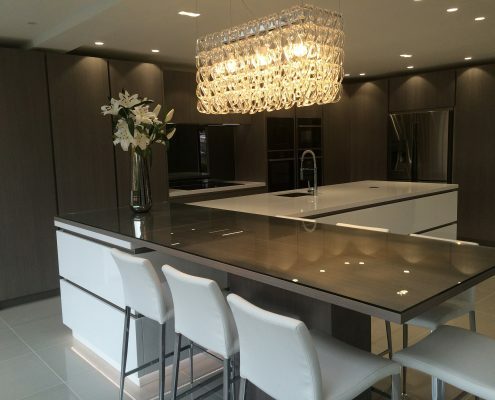 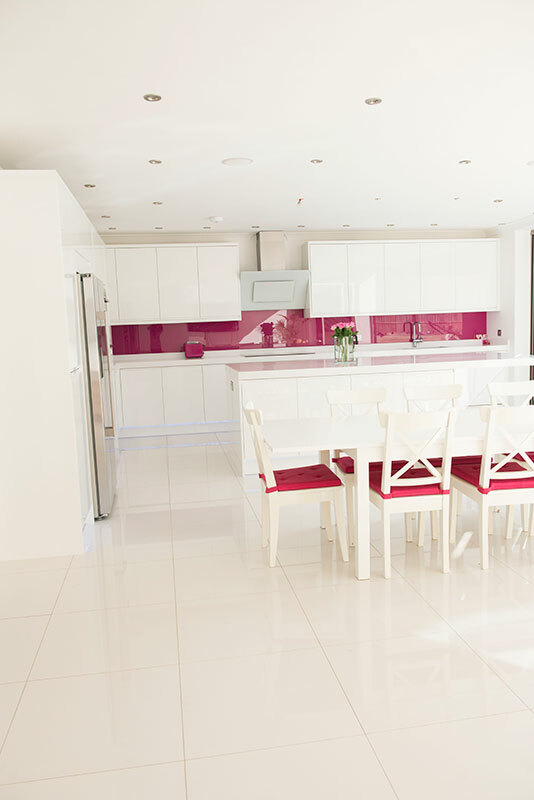 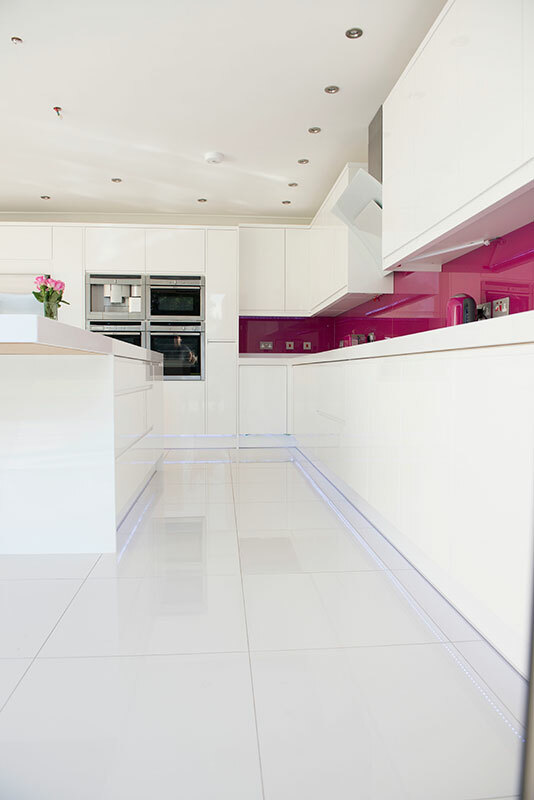 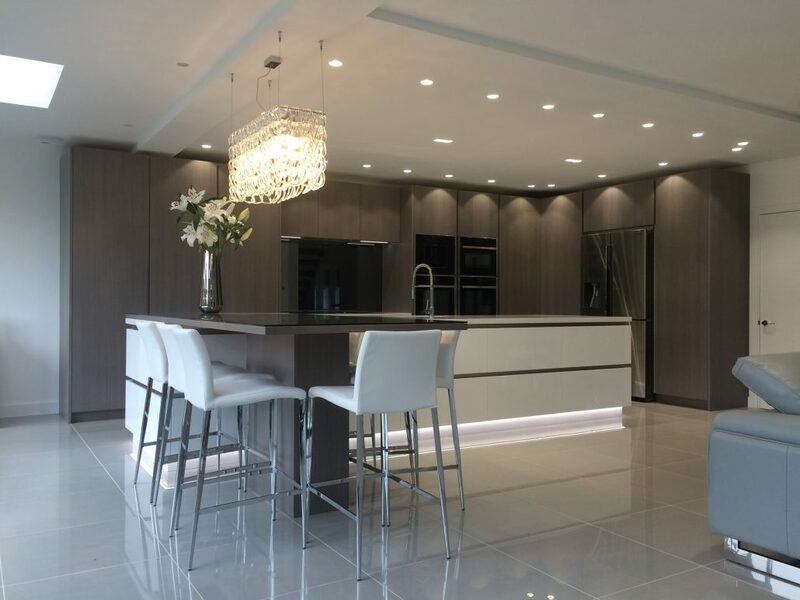 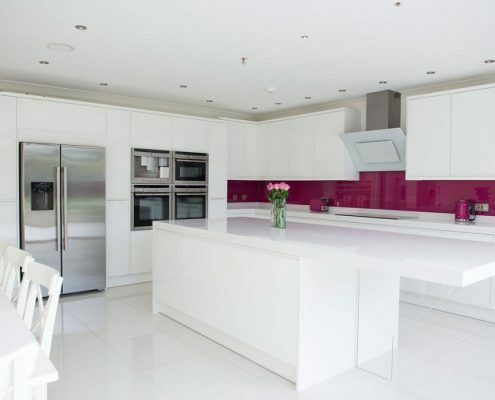 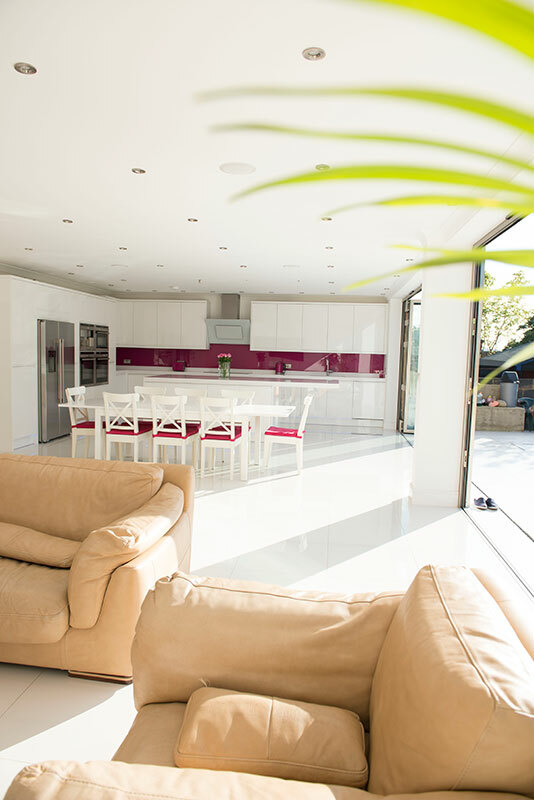 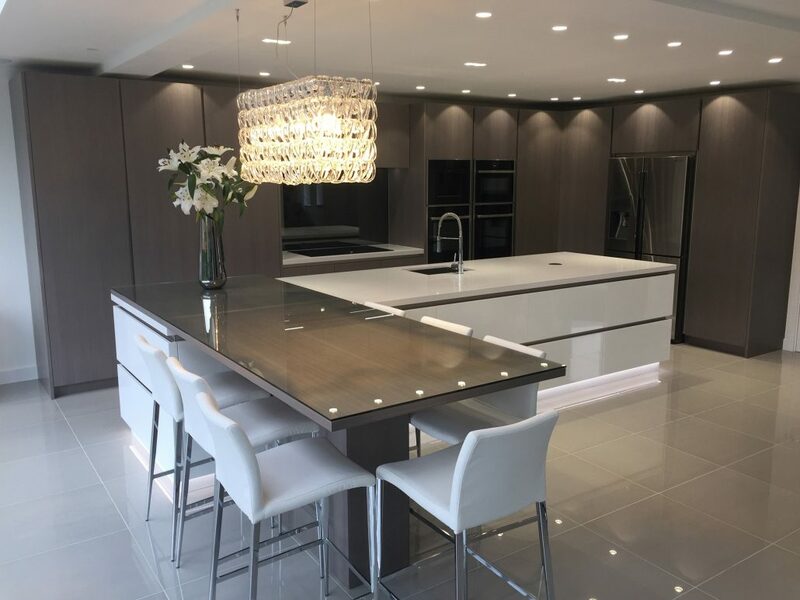 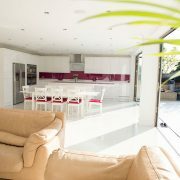 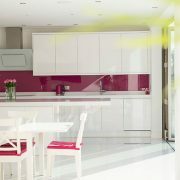 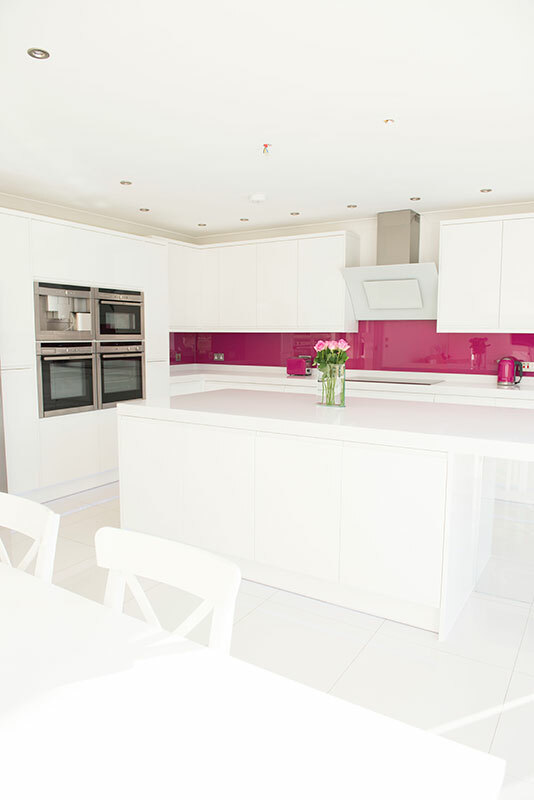 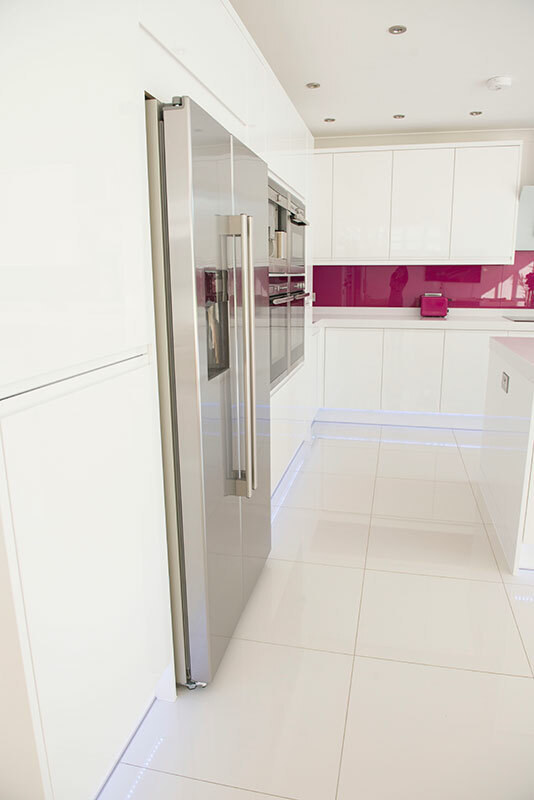 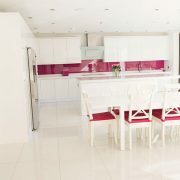 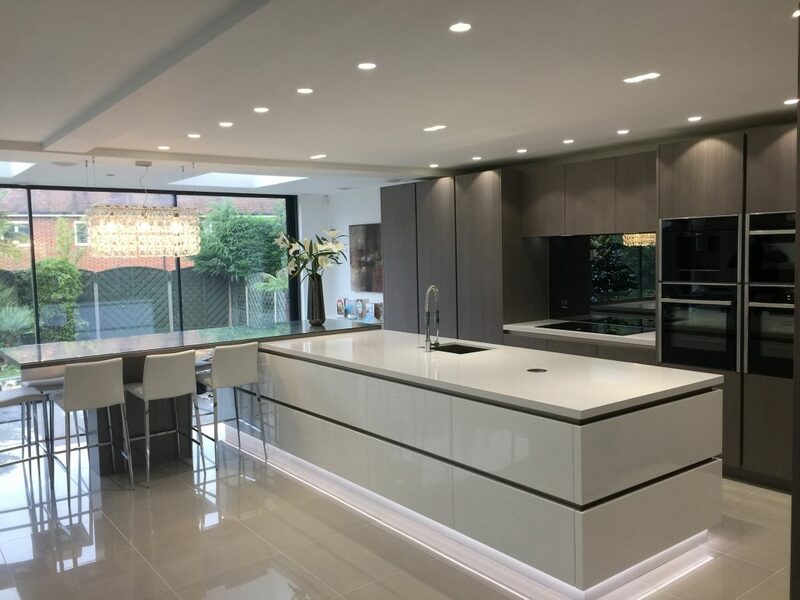 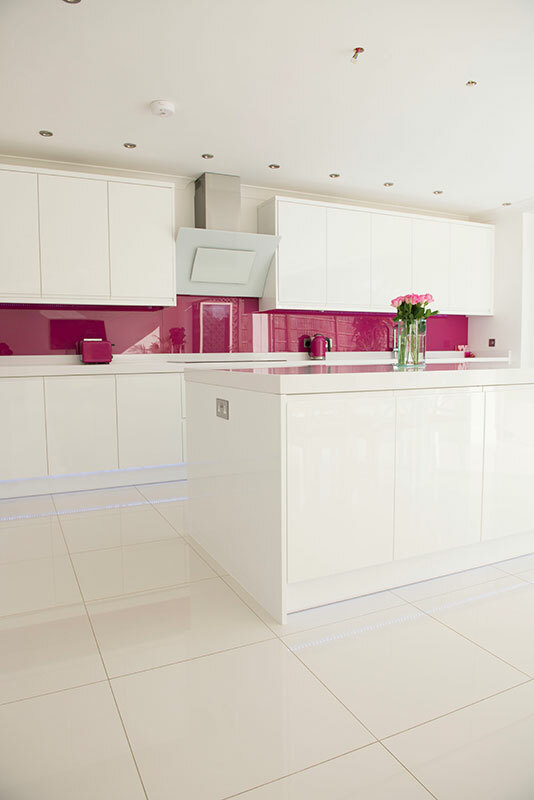 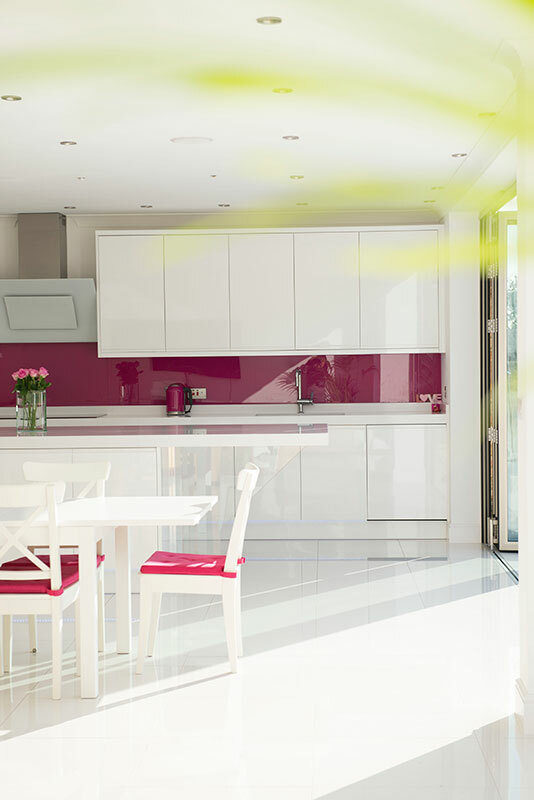 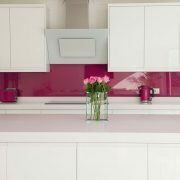 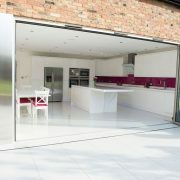 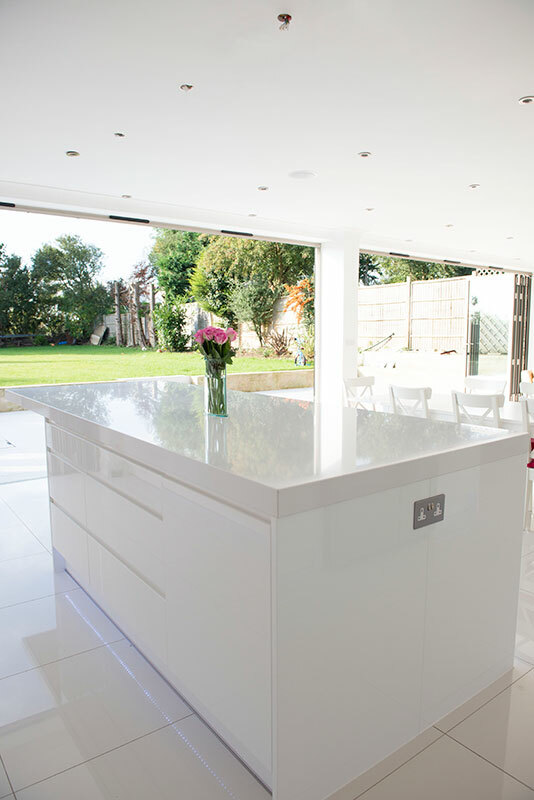 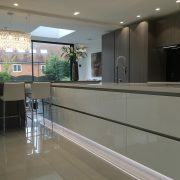 Kitchen was stripped out and a full refurbishment was completed by Cutting Edge Home Improvements. 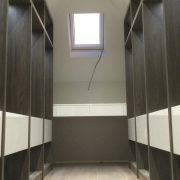 This task included plastering, electrical wiring for lighting and sockets, tiling and painting. 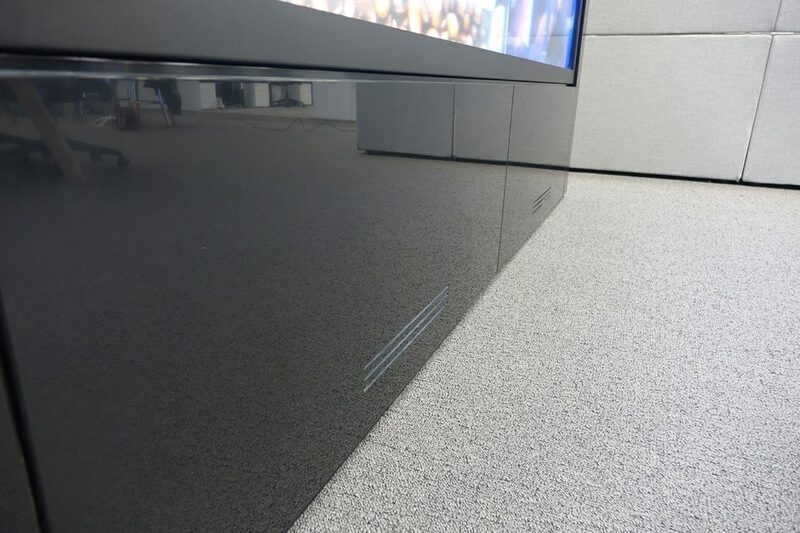 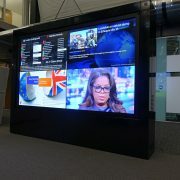 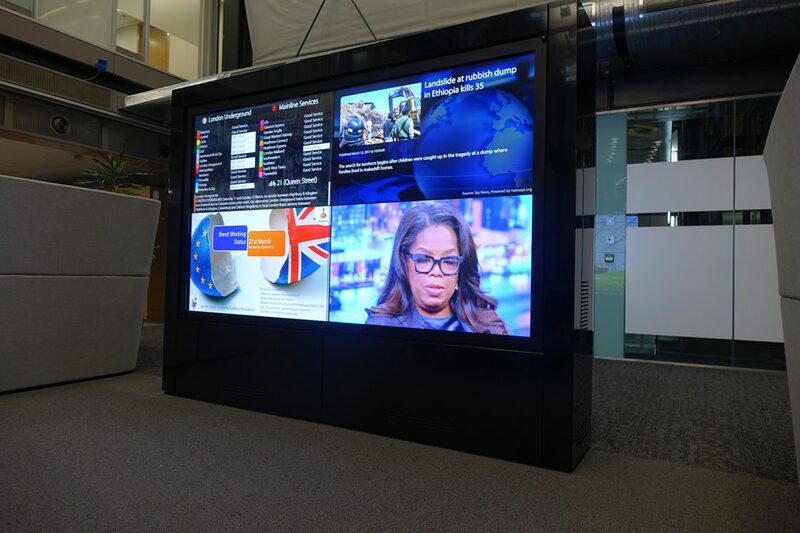 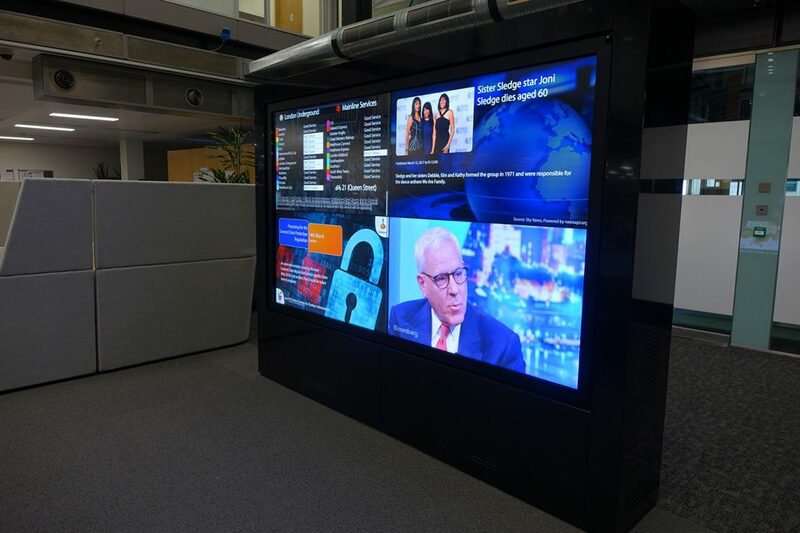 We were commissioned to design, manufacture and install this media unit for a bank in the City of London. 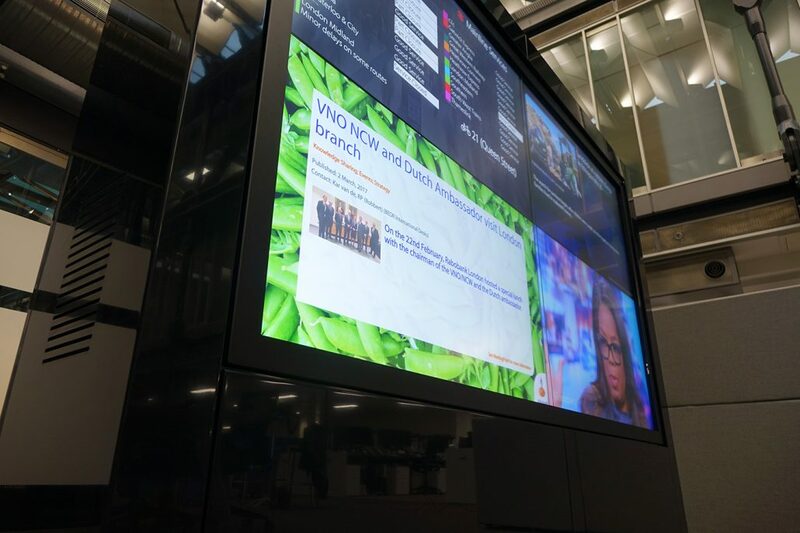 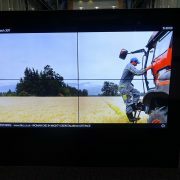 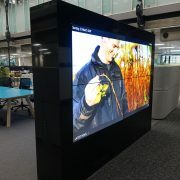 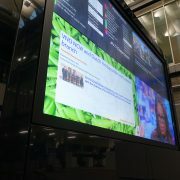 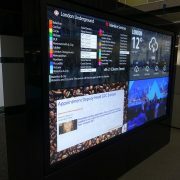 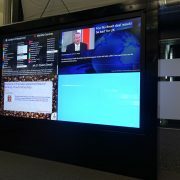 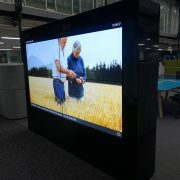 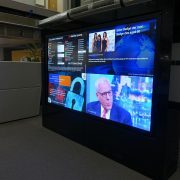 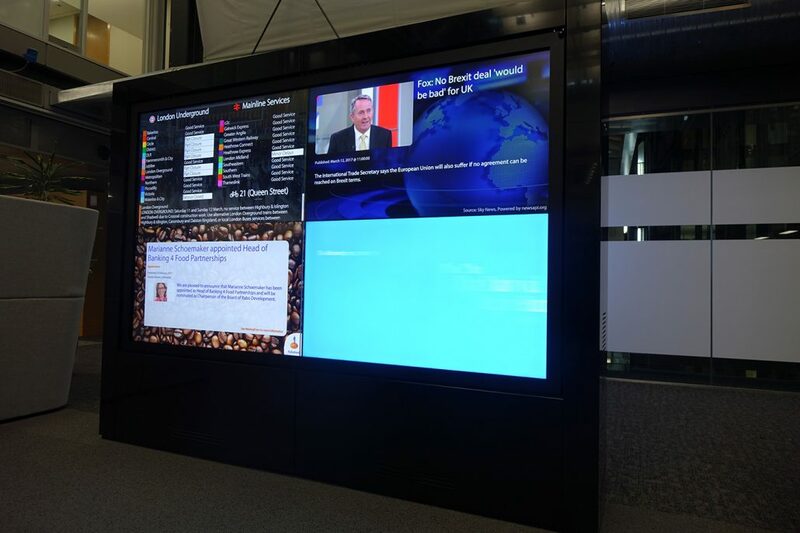 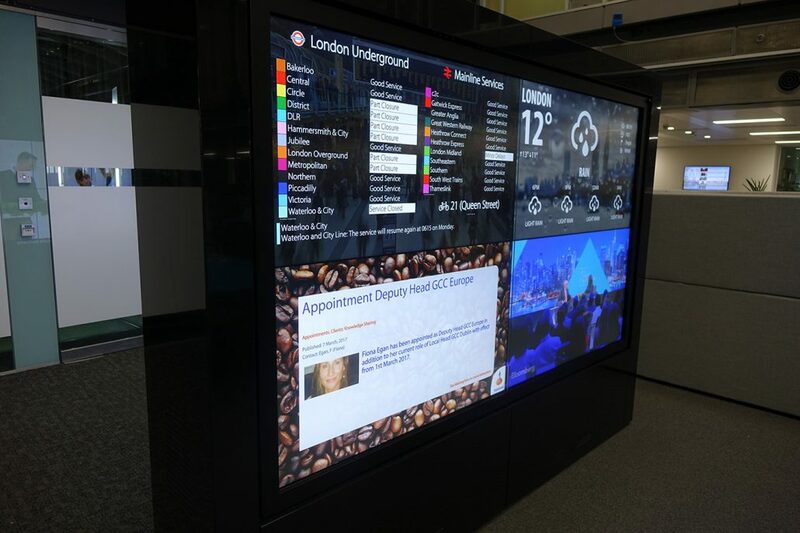 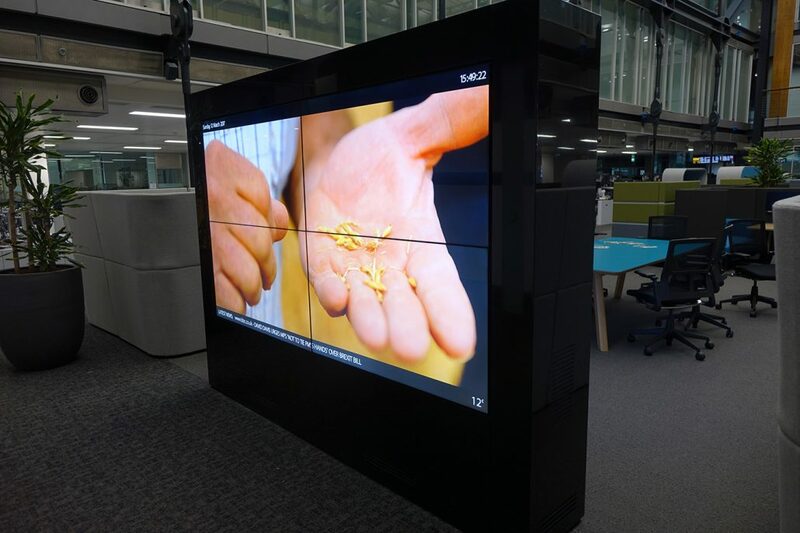 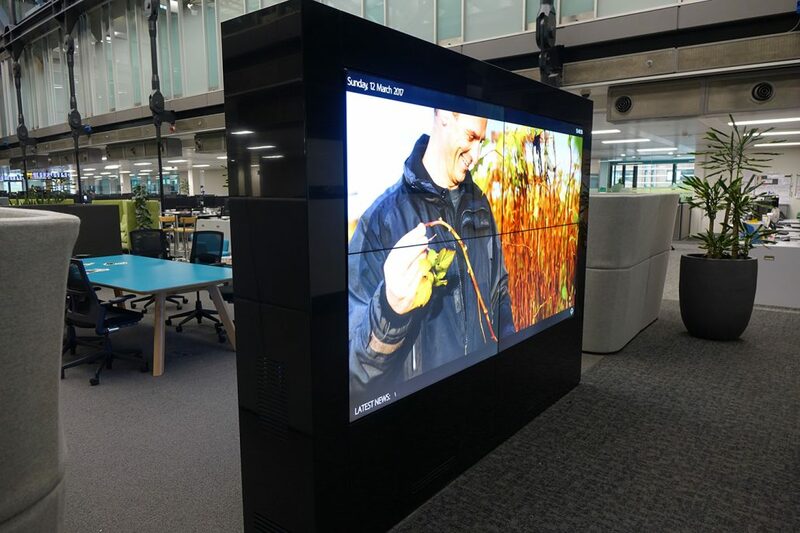 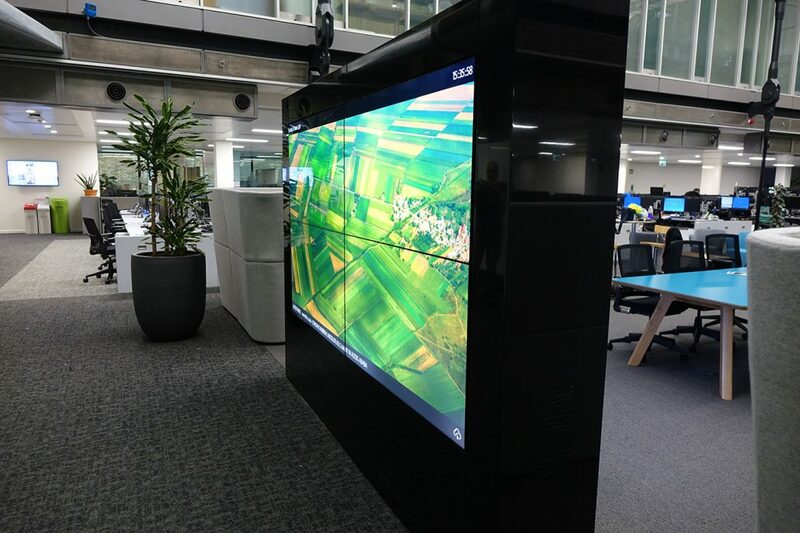 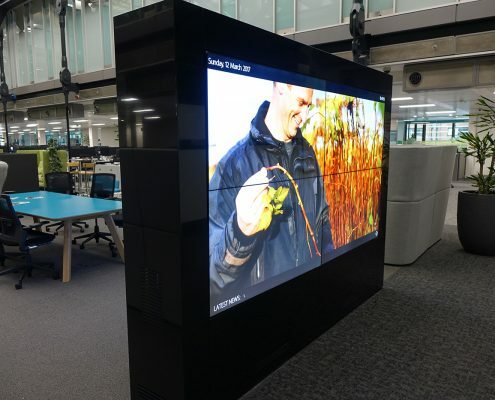 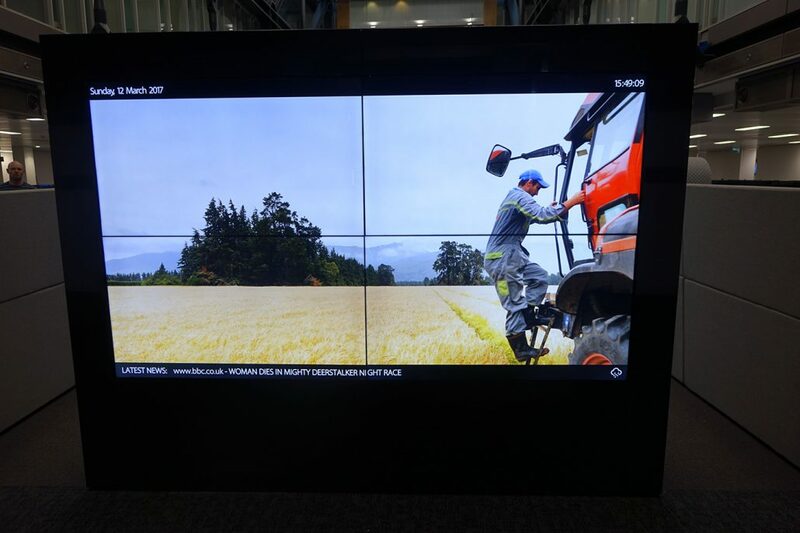 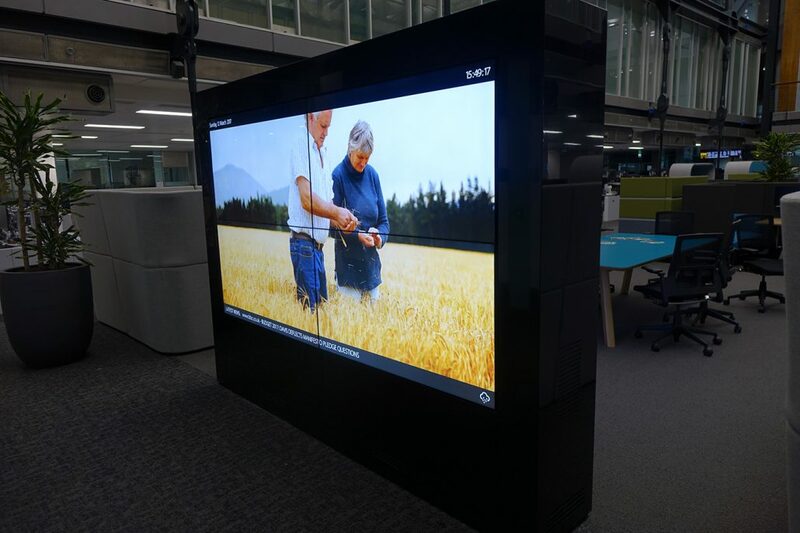 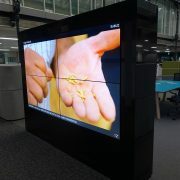 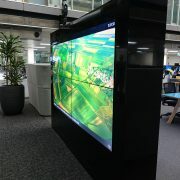 The unit has screens on both sides, one is used as an advertising board and the other for presentations and team meetings. 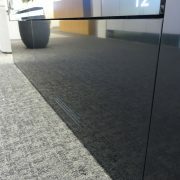 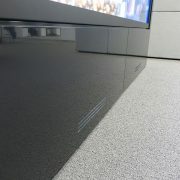 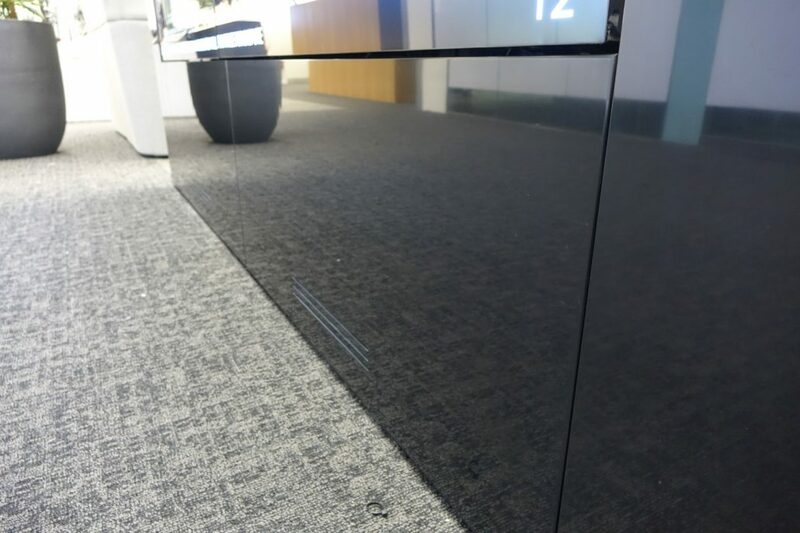 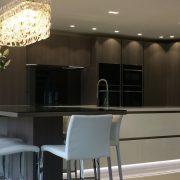 The unit is constructed from Birch Ply and clad in black LG Hi-Macs machine polished to a very high gloss. 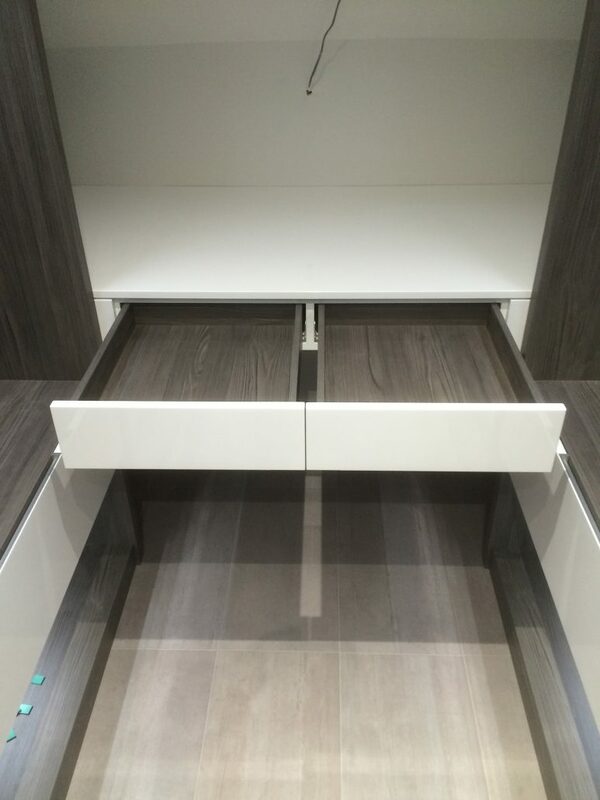 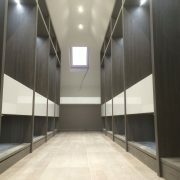 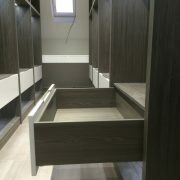 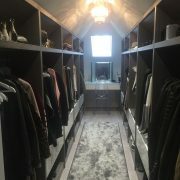 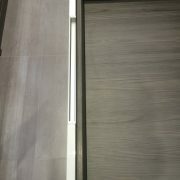 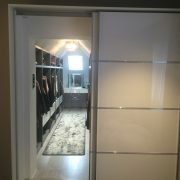 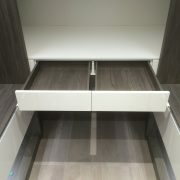 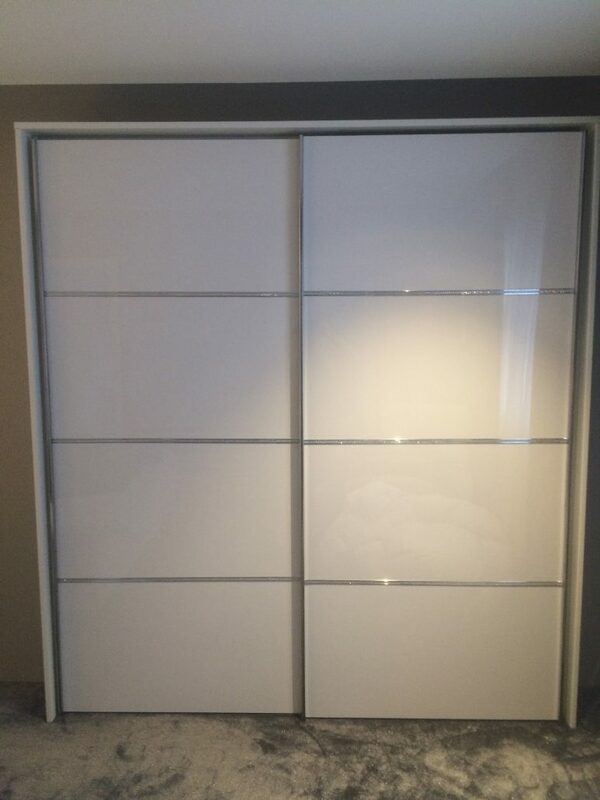 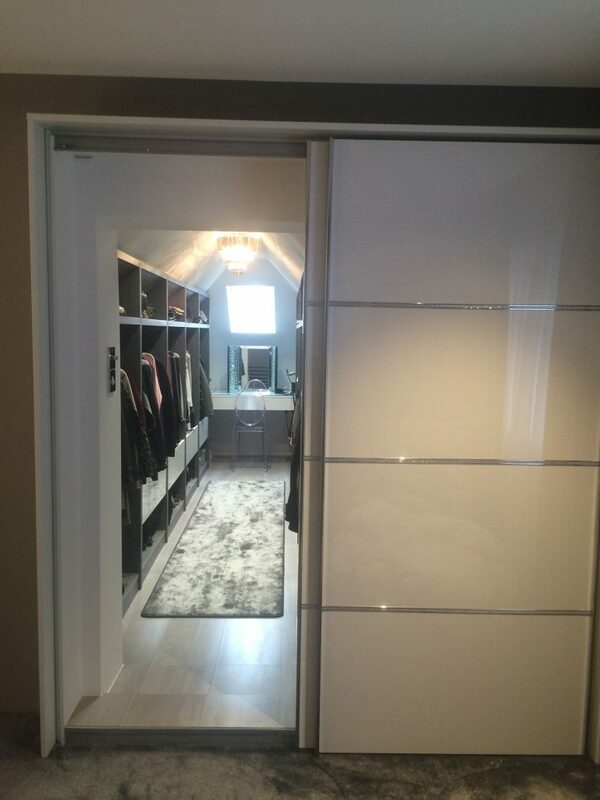 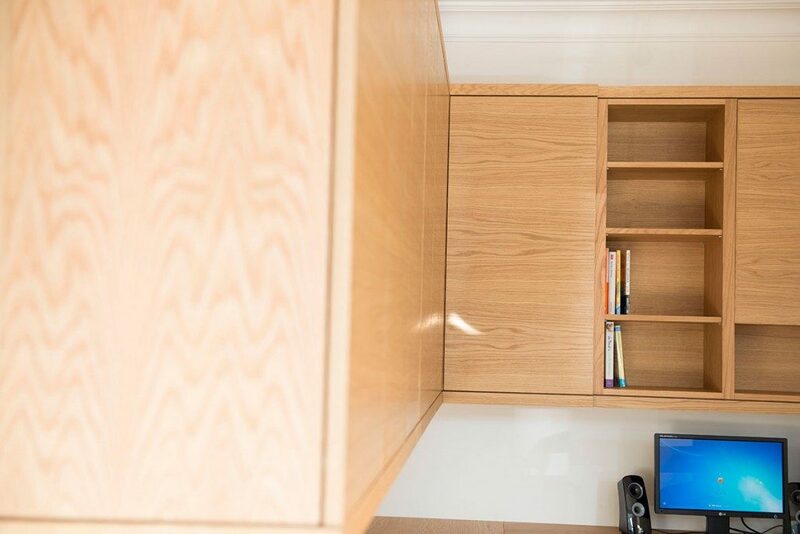 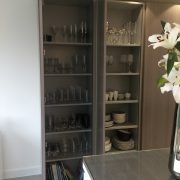 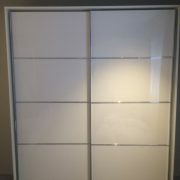 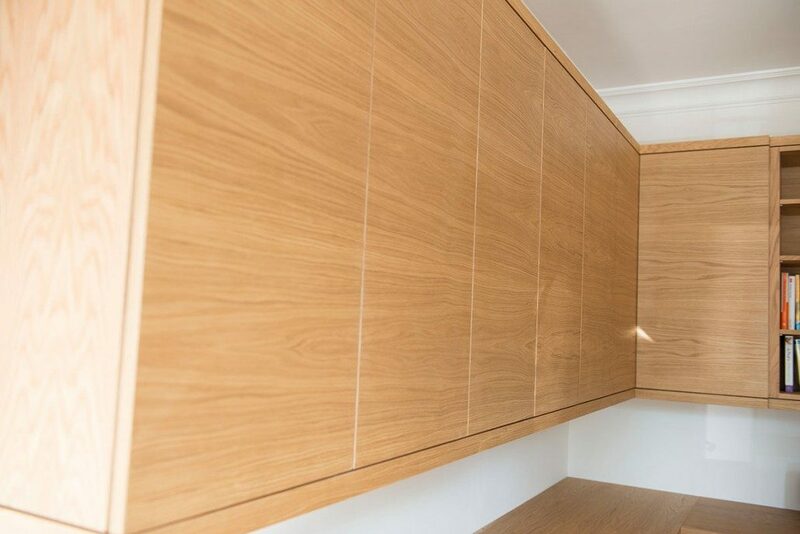 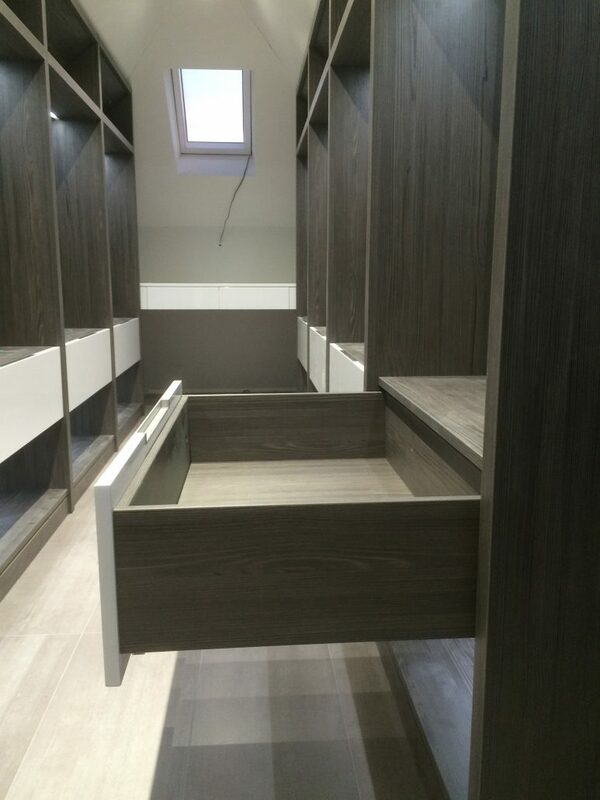 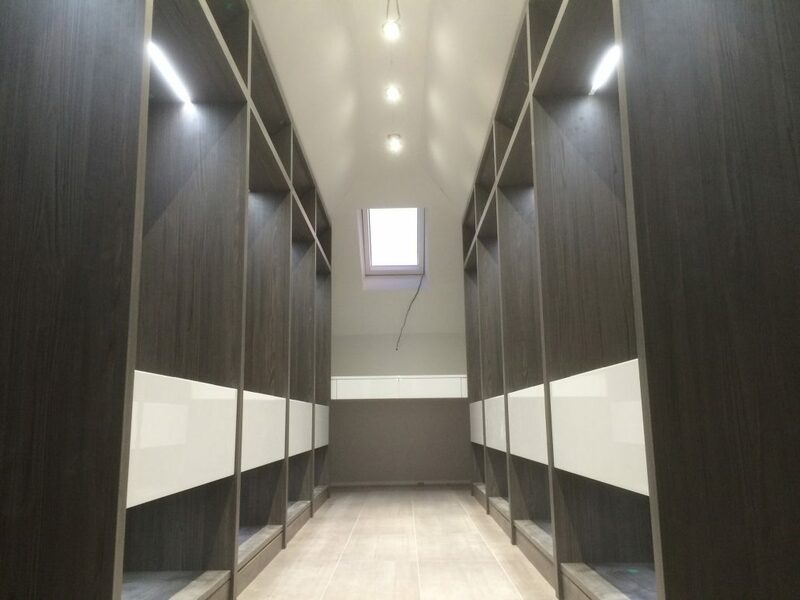 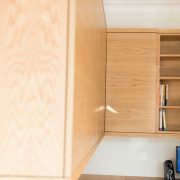 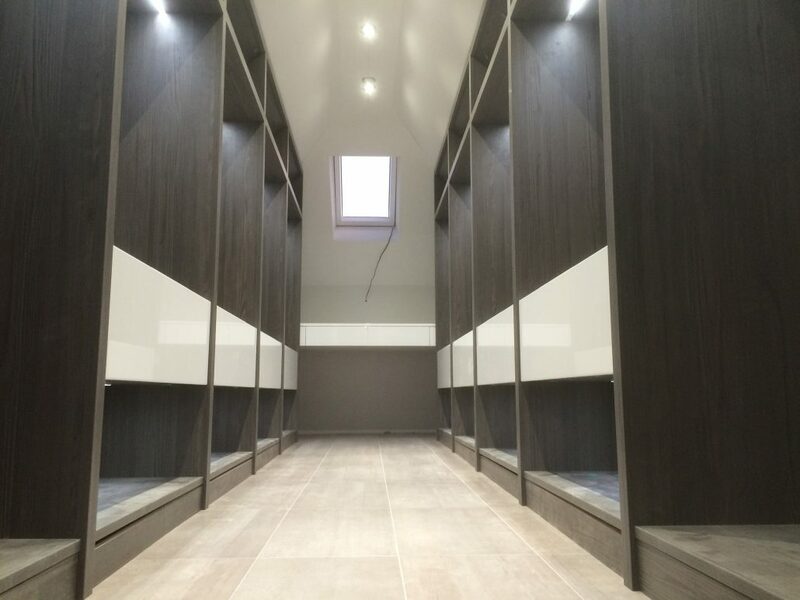 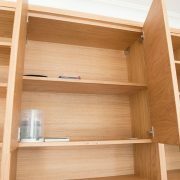 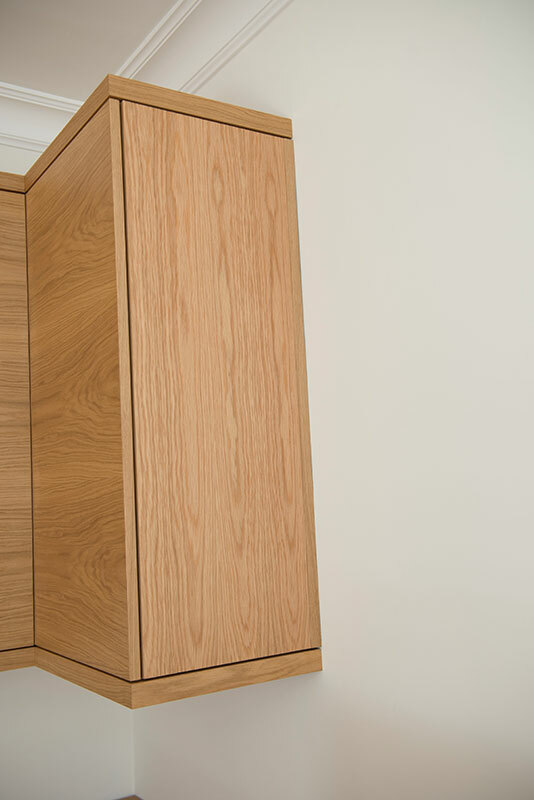 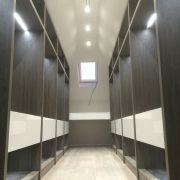 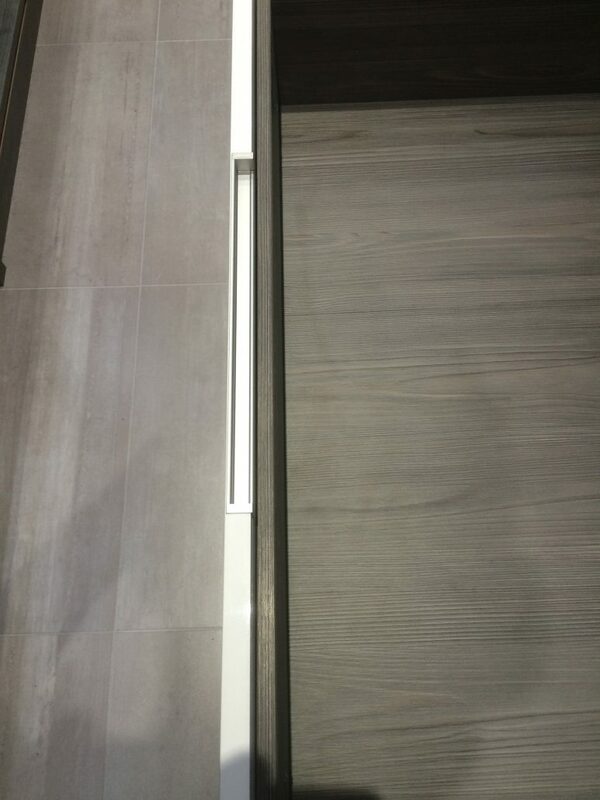 Walk-in Wardrobe designed, manufactured and installed. 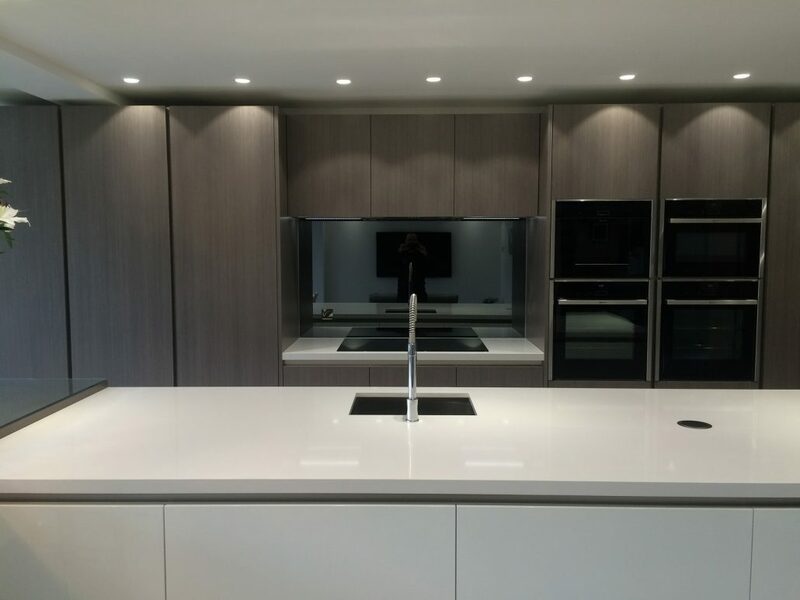 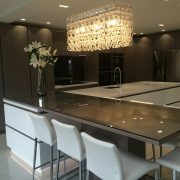 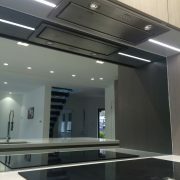 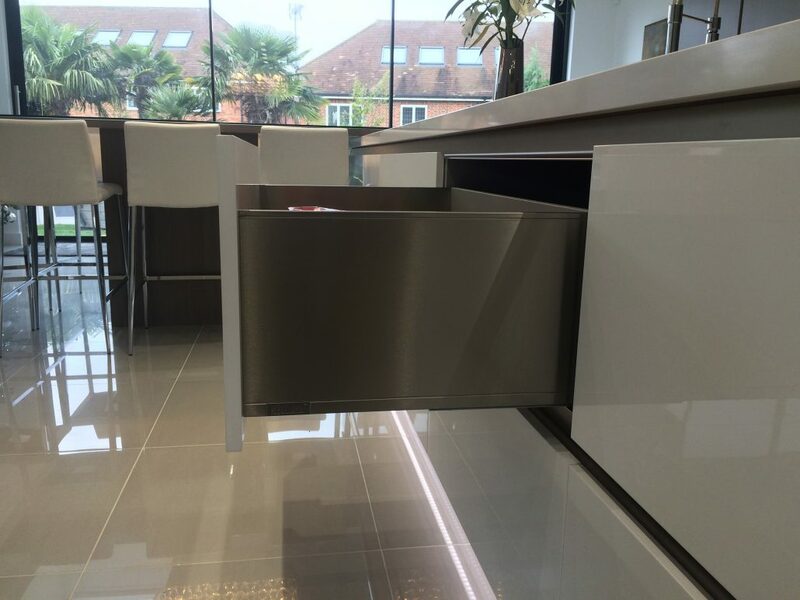 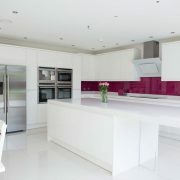 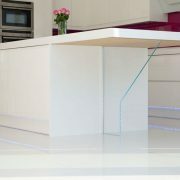 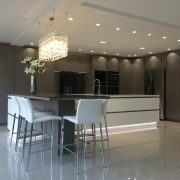 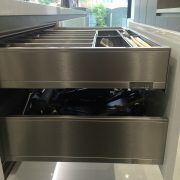 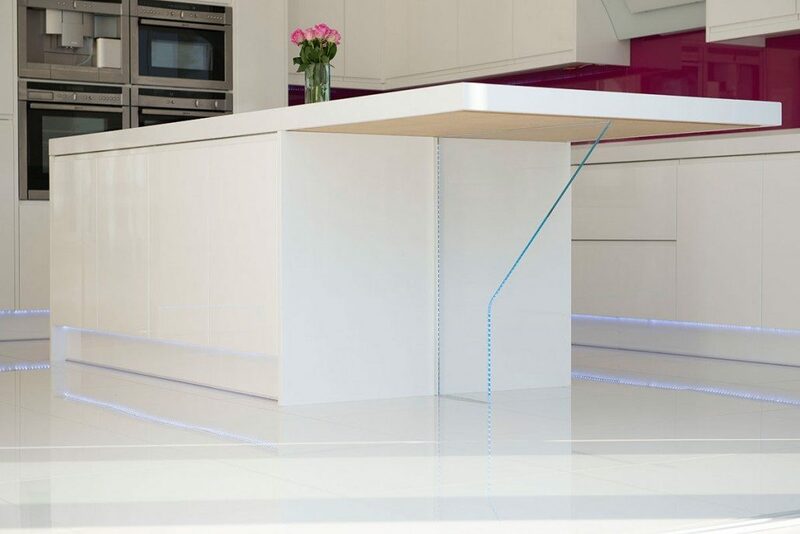 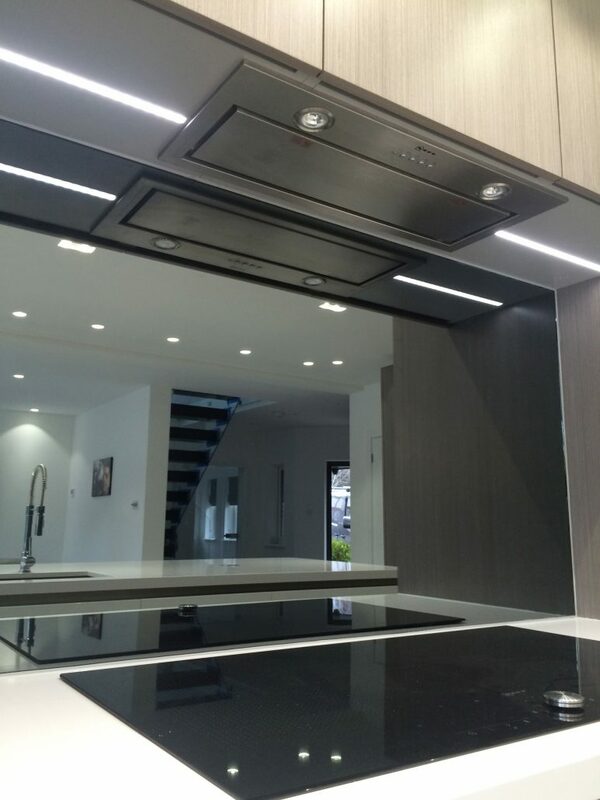 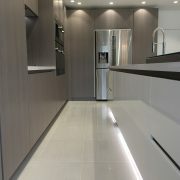 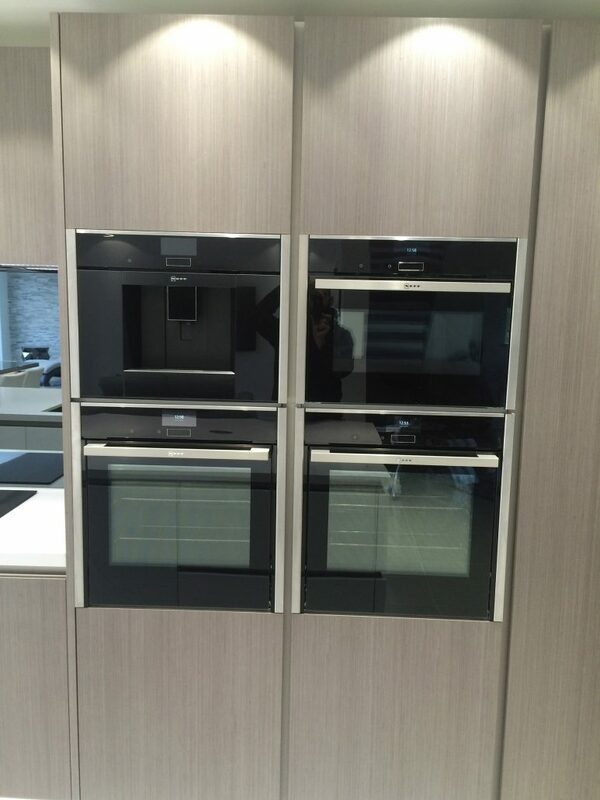 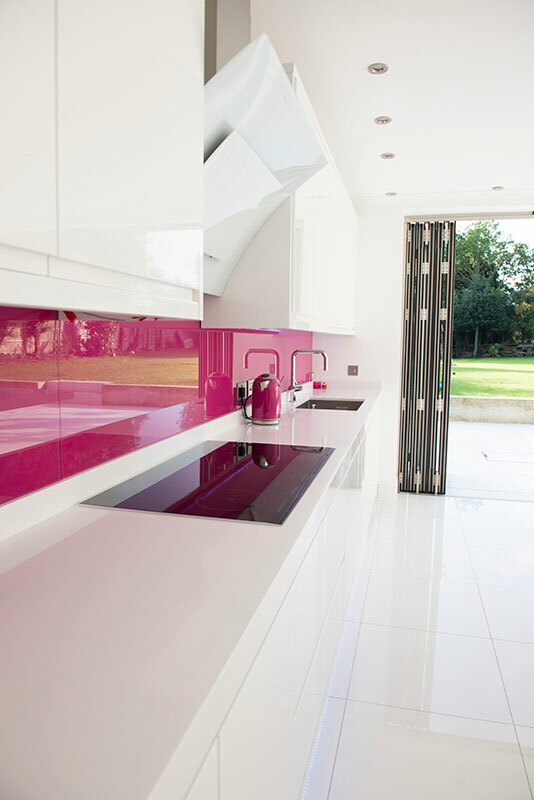 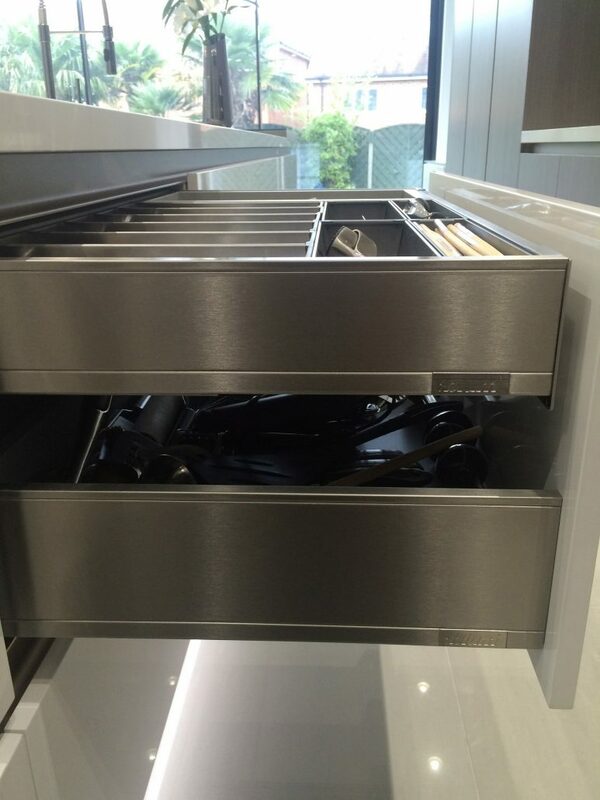 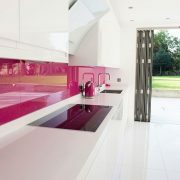 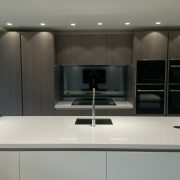 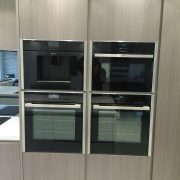 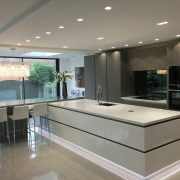 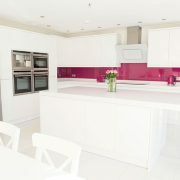 Bespoke kitchen designed, manufactured and installed.